You are here » frostvalley.org » Group and Family Programs » New 2-Week Bear Grylls Survival Camp! New 2-Week Bear Grylls Survival Camp! Over the past three years, hundreds of people of various ages have experienced the adventure of a lifetime ever since Frost Valley YMCA debuted the Bear Grylls Survival Academy adventure courses for both families and adults, as well as the Bear Grylls Survival Academy Summer Camp just for teens and pre-teens. 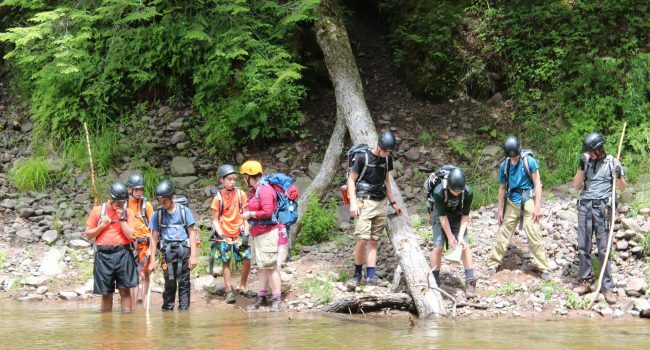 The camp, open to boys and girls ages 11-17, has brought young outdoor enthusiasts into the Catskill wilderness to participate in Bear Grylls-approved survival training. 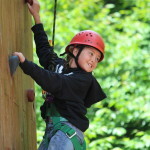 Campers learn techniques such as water purification, knife safety and use, cooking in the wild, and shelter building, while also building confidence and developing a relationship with nature. But more importantly, they discover camaraderie among new friends by encouraging and supporting one another through the most challenging parts of the journey.